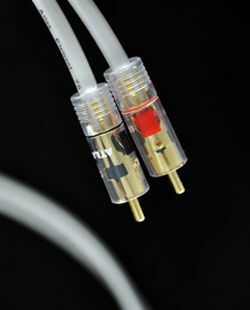 Atlas entry-level interconnect gets new plug design | What Hi-Fi? The £45 cable now gets the latest patented Integra RCA connection which uses an airtight 'cold-weld' (or crimped) join between the cable conductor and plug. The crimp is said to maintain signal purity by removing any unwanted signal deterioration normally associated with solder joins. Atlas Cables also claims its gold-plated bracket system does not compress the cable in any way during construction. The outer shell of the plug is made of a new ABS (Acrylonitrile-butadiene-styrene) thermoplastic resin, which acts as an additional insulator.